On 8th August 2015, AFC Bournemouth will make their Premier League debut as they host Aston Villa at Dean Court. Not only will this be Bournemouth's first ever Premier League match but it will be their first ever top tier clash. Last season Bournemouth came out on top of a very tight Championship, notching 90 points, sitting 1 point clear of second placed Watford. Every single fan who watched the Cherries at any point last season would agree that their promotion was well deserved with manager Eddie Howe forming a team capable of exciting, possession-based attacking football. Now, as the South Coast club prepare for life in the fast lane, we take a look at their meteoric rise. AFC Bournemouth in their current form were founded in the Autumn of 1899 as Boscombe FC. The club were created from the remains of the old Boscombe St. John's Lads' Institute FC that had existed from 1890-1899. The club website  details how initially Boscombe would just compete in local district league where they found success as "the top team in the town". This led the side joining the Hampshire league and as crowds grew they leased some land off a Mr Cooper-Dean. Dean Court was born and the team, in their cherry coloured strips, playing next to a cherry orchard, gained the nickname... The Cherries. Following The Great War 1914-1918, Bournemouth's progress would be halted and so in 1920 the side were invited to join the Southern League, with many of the previous club having moved on to form Division Three of the Football League. With finishes of 5th, 7th and 2nd, Boscombe would seek election into the Football League. This application was successful and so heading into the 1923/24 campaign, the Cherries would be plying their trade in Division Three South. However joining the established league it became difficult to make headway up the table initially and finishes of 21st and 20th marked their entry. Whilst the following seasons saw an 8th and 7th place finish, mid-table mediocrity would be the order of things before the league was postponed in 1939 due to the outbreak of the Second World War. Following the Second World War, Bournemouth would continue life in Division Three South. Amongst mixed results in their league campaigns there was a high for the town during the 1956/57 FA Cup. Bournemouth and Boscombe AFC had no real pedigree in the competition but following an 8-0 thumping of Burton Albion in the first round, momentum was on their side. They saw off the challenge of Swindon town 1-0 in the next round before beating Accrington Stanley 2-0 in January 1957. The Cherries were rewarded with a big away fixture at third in the First Division Wolverhampton Wanderers. Bournemouth played in front of over 41,000 fans and superbly beat their hosts 1-0! This set up a 5th round class with second in the First Division Tottenham Hotspur, who had pummeled Chelsea 4-0 in the previous round. 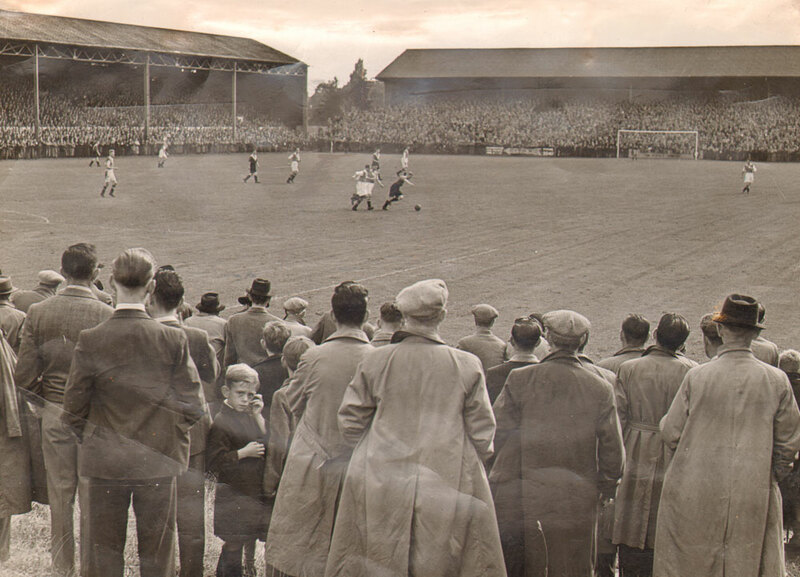 Londoners Spurs traveled to Dean Court on 16 February 1957. Bournemouth were the underdogs but were seen as 'giant killers' as they put Spurs to the sword, 3-1! So who next? Well Manchester United of course, the biggest side in the country! 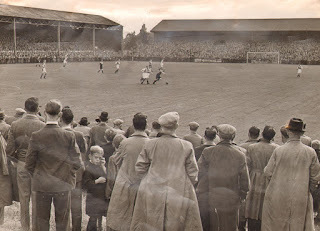 What a Quarter Final for the 28,800 spectators crammed into Dean Court but alas it was not to be. The AFC Bournemouth website records how despite the best efforts, a "goal that looked offside and a questionable penalty" saw eventual runners-up Manchester United win 2-1. What a run for The Cherries! The 1960s went by largely uneventfully until, at the end of the decade, Bournemouth and Boscombe AFC were relegated to the fourth tier British football. Their stay in the Third Division had lasted from 1923 till 1970, a British record. Upon relegation, John Bond was appointed manager and he set about the task of promotion at the first attempt. The Cherries won 24 of their 46 games, racking up 60 points. This put them in second behind Notts County, clear of Oldham Athletic by a single point. On the pitch, Scotsman Ted MacDougall was the hero with a marvelous 49 goals. The £10,000 signing became a Bournemouth hero, known as Super Mac, with 101 league goals in 146 matches during his first stay at Dean Court. Prior to the 1971/72 campaign, John Bond decided to rename the club to just AFC Bournemouth. The club also introduced the now famous black and red stripes as well as the crest we know today, that being a silhouette of Dickie Dowsett heading a ball. 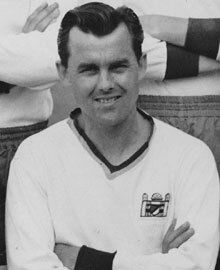 Dowsett was an inside forward with The Cherries from 1957-62, scoring 79 in 169. With their only real silverware coming in 1946 with the Third Division South Cup victory, Bond was keen to add more. The campaign was aimed at a top two finish to earn promotion for a club high and the side recorded 62 points via 23 wins and 16 draws. However this wasn't enough as Brighton & Hove Albion notched 65 with Division winners Aston Villa taking 70. Unfortunately that would be a high for The Cherries for some time. 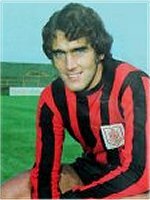 MacDougall, who netted 9 in an 11-0 FA Cup win in 1971, left for a Division Three record of £200,000 to Manchester United. Fan favourite manager John Bond would take the manager's hotseat at Norwich City in 1973 as Bournemouth were riddled with debts and departed players. 1975 culminated with relegation back to the Fourth Division and relative nothingness for the South Coasters. With crowds struggling to top 3000, Bournemouth needed to quickly re-establish themselves in the Third Division. David Webb did this in 1982 and he offered the chance for an ex-player to join his coaching staff, one Harry Redknapp. Redknapp had played for The Cherries between 1972-1976, playing 101 league games from midfield. When Webb left the club for Torquay United, Redknapp unsuccessfully applied for the manager's role. However when the chosen Don Megson was sacked in October 1983, 'Arry was selected to take the club forwards and away from a relegation battle. The Harry Redknapp effect was immediate and on 24 May 1984, Bournemouth won the Associate Members' Club (now Johnstone Paint Trophy). The side contained current Liverpool assistant manager Sean O'Driscoll and the goals came from youth academy product Milton Graham and local lad Paul Morrell as The Cherries were victorious 2-1. A few years later, after famously knocking holders Manchester United out of the 3rd Round of the FA Cup, Harry led Bournemouth to promotion. In the 1986/87 campaign, The Cherries notched up a record 97 points to win the leauge, seeing off close competition from Middlesborough who finished on 94 points. A club high was achieved, Bournemouth were in Division Two! Three seasons would be spent in Division Two before relegation and the failure to bounce back led Harry Redknapp to step down in 1992. The 1990s were difficult times at Dean Court, financial ruin was around the corner whilst managers such as Tony Pulis came and went. This would eventually lead to the Supporters' Trust taking over the running of the team to save the club from extinction. This is the period in which I became attracted to The Cherries. Bournemouth being our annual family holiday destination, my "lower league club" were the black and red stripes of the South Coast. Into the new millennium and things took a turn for the worst on the pitch as Sean O'Driscoll saw his club relegated, just a season after narrowly missing out on a play-off place in 2000/01. Bournemouth kept faith in O'Driscoll and a year later in Cardiff, they won the play-off final by thumping Lincoln City 5-2. Goals came courtesy of club icon Steven Fletcher, Garreth O'Connor, Steve Purches and a double from Carl Fletcher. Bournemouth were back! The next few seasons were unspectacular but stable under O'Driscoll but in 2006 he left to join Doncaster Rovers. By the 2007/08 season, financial woes had overtaken Bournemouth and they entered administration, receiving a 10 point deduction that sealed their relegation to League Two. The club were also handed a -17 start to the next campaign and this pushed them to the very edge of survival of their football league status. The Cherries started slowly under Kevin Bond, despite coming out of administration under new ownership. Bond was replaced by Jimmy Quinn who himself was sacked during the Christmas period and replaced by caretaker boss Eddie Howe. The fresh faced youngster was a former player and he magnificently turned their campaign around. Bournemouth finished the season with 46 points in 21st place, two places clear of the drop zone. Without the -17 deduction, The Cherries would've finished 10th and under Howe, the future looked bright. Steven Fletcher was back at the club and with over 500 league appearances for the side, passion like his was required for the follow campaign's promotion push. New chairman Eddie Mitchell backed Howe to take the team back up the football ladder, Howe certainly delivered. 25 wins and 8 draws saw 83 points recorded, enough for second place and promotion alongside winners Notts County. 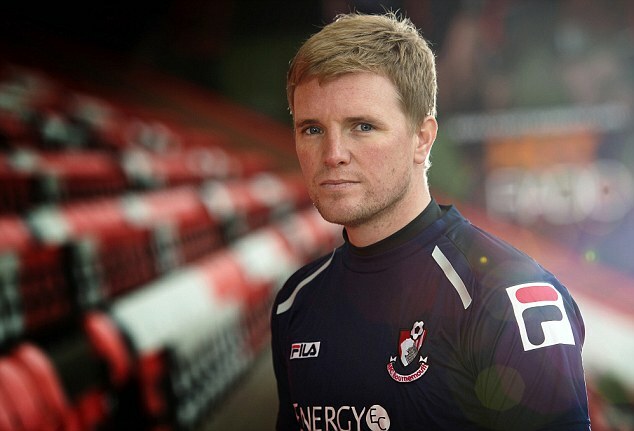 Eddie Howe - Bournemouth's best ever? The form would continue into 2010/11, a flying start though would draw attention to Eddie Howe, Burnley taking him after 102 games in charge in January 2011. Midfielder Marvin Bartley would follow but The Cherries still made the play-offs under new gaffer Lee Bradbury. Defeat would come to Huddersfield over the two legged play-off to prevent back-to-back promotions. Danny Ings would move to Burnley in the off-season and an 11th place finish wasn't considered good enough for the ambitious seaside club. This meant that come October 2012, Eddie Howe would make a glorious return to the team where he feels at home. Bournemouth were 20th in October 2012 when Paul Groves lost his job and Howe returned. By the end of the 2012/13 season Bournemouth were second with 84 points, just one behind league winners Doncaster Rovers. The Cherries were in the Championship for the first time in their history and were playing scintillating attacking, passing football. Their first campaign was no scrap for survival, Howe led his Cherries to a marvelous 10th placed finish by May 2014. So we reach last summer and the additions of Dan Gosling, Junior Stanislas, Andrew Surman and notably Callum Wilson. AFC Bournemouth were early touts for a play-off spot in what would turn out to be the most competitive Championship season in perhaps the history of the second tier. The battle for the Premier League went right down to the wire, Bournemouth, Middlesborough, Watford and Norwich all scrapping for that £100m spot. There can be no doubt Bournemouth were deserving of their promotion place as The Cherries stormed to 90 points, via 98 goals and 26 wins. Howe's side were everyone's second favourite team with new signing Wilson scoring a superb 20 goals. Every member of the squad played a part to ensure a club milestone was achieved. Eccentric Chairman Jeff Mostyn led the party live on Sky and Eddie Howe underlined himself as the most exciting young British manager in the game at this current time. This season Bournemouth's 11,700 capacity Dean Court will be packed to the brim for visits of Manchester United, Chelsea and Arsenal. Will The Cherries survive? Well, from someone who has seen his lower league club go on to surpass his hometown club, Cardiff City, in every aspect of the game... I certainly believe they can! Portsmouth Evening News, "World of Sport", 2 August 1923, page 8. Accessed via: www.britishnewspaperarchive.co.uk. Nottingham Evening Post, 16 September 1939, page 8. Accessed via: www.britishnewspaperarchive.co.uk.